Photo is generic. Item looks good. Minor scratches. No cracks or broken parts. Multitester tested for voltage. 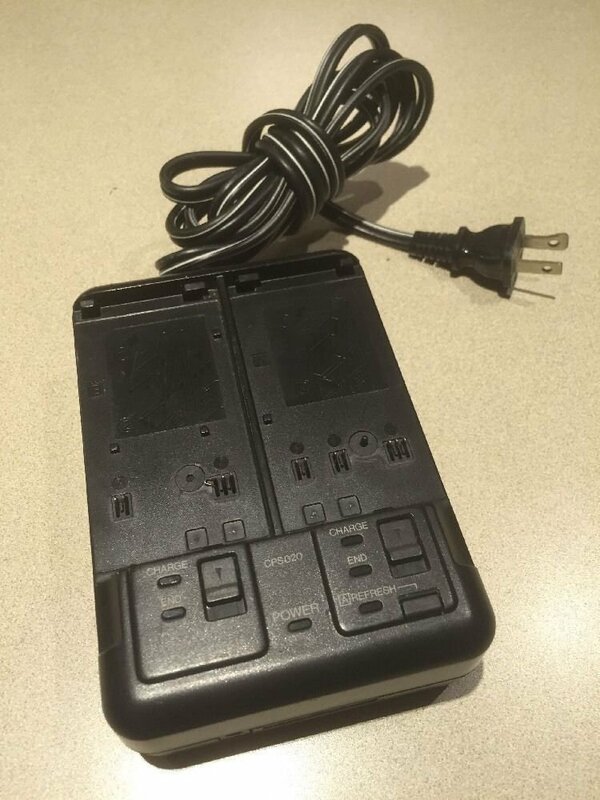 This is an EQUIVALENT to JVC or Thomson battery charger for the following: AC input: 100-240v and DC output: 8.5V 1.6A (CHARGE) and 6.3V 1.8A (VTR) for AAV35 JVC and CPS020 Thomson .S&H in the contiguous USA is $7. (insured shipping).Please see other interesting products by JGritUSPS DELIVERY TIME: As stated in the item listing, seller will drop-off your item to the USPS within 5 days of receiving cleared payment. How long it takes to deliver to your door is strictly within USPS control and not within the control of seller. Please leave 5 stars for seller 5 day drop-off time.